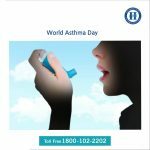 Usually, during winter season, a number of individuals undergo with various asthma and respiratory related problems. Of various respiratory problems, one of the major one is sinusitis. Inflammation and swelling of mucous membrane lining on your sinus or nose is called as Sinusitis. In every individual, below the forehead and eyes, there exist cavities that are filled with air, on the either side of the nose and they are what called as the sinuses. Usually, sinuses are completely covered with mucous membrane lining. Sinuses mainly maintains the temperature of air we breathe-in, and produces a slimy secretion (mucus), keeping the nasal passages moist. Moreover, it is also useful to generate sound while we talk or speak. Generally, liquids secreted from mucous membrane reaches nose without out any hassles. 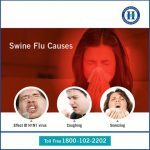 But, in certain situations, when flowing effuses from sinus starts streaming and if there exists any hurdle in its path, then that situation leads to sinusitis problem. Besides this, viral infection, frequent cold, allergy problems, DNS: physical disorder of the nose, involving a displacement of the nasal septum; nasal polyp, trauma, sinus bones fracture and so on are some of the reasons of Sinusitis. Sinusitis disease is mainly classified into two types, based on the time span of the problem. If an individual suffer from Sinusitis for less than 4 weeks then it is called as acute sinusitis. And, if the individual suffer for more than three or four weeks then it is called as chronic sinusitis. By considering the symptoms related to the disease and by assessing it carefully, one can find out the root cause of the disease and cure it. Additionally, X-Ray, C.T. scan, nasal endoscopy, PFT, IGI and Allergy tests are some of the confirmation tests of sinusitis. 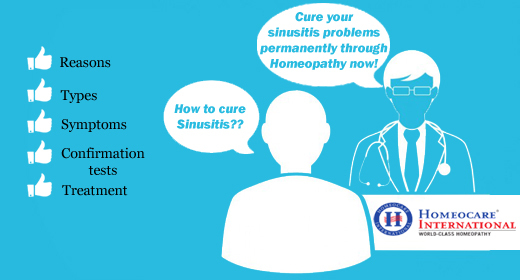 At Homeocare International, there is a best treatment method to cure one of the major respiratory disease—Sinusitis. The modern genetic constitutional method is used to regain the distorted immunity power and finally cures sinusitis diseases completely. Moreover, the homeopathic doctors take necessary measures to improve body’s immune system, in order to prevent the further cause of sinusitis. Additionally, Homeocare treatment helps patient to lead a healthy life even in all adverse circumstances. I have sinus problem I can breathe only from my one side of noise and from another side of my noise I can’t breathe.